How would you like to make up to $17,500 a month starting this week? The Wealth Project claims that this is possible plus a lot more with their brand new online money making system. I purchased this product, and what I found was a repackaged system that’s been seen before. For more details on why I think you need to stay away from this program, read my full Wealth Project Review below! What Does Wealth Project Offer? Wealth Project is a new make-money-online system created by a man named James Robertson. You can access this program at WealthProject.net and the cost is $37. In the 4 minutes sales video, you hear a lot about how this system is going to be life changing and you’re not supposed to share the video with anyone! They also talk a lot about the money that people have made in their very first week. Not only did they make money, they made thousands in that first week! Now right off the bat, this is a big red flag. Anyone who is successful at making money online knows that fast, easy cash doesn’t exist. 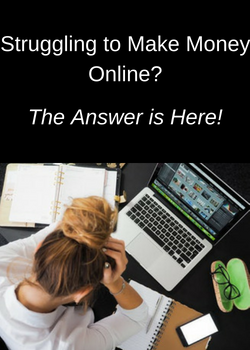 It takes time and hard work to earn money online, so it’s obvious that Wealth Project is being marketed to individuals who are naive or inexperienced or desperate to work at home. Throughout the rest of the sales video another big red flag popped up. Nowhere in the video does it tell you anything about the system that they’re asking you to buy! Will you be selling products online? Doing Affiliate Marketing? Creating and selling eBooks? Running ads? What is the Wealth Project? You don’t know! They are asking you to buy a product based only on the marketing hype that it’s a wonderful way to make boatloads of money online. You’re also told that the creator of this program has done everything he can to be sure that the system only gets to the right people who are a perfect fit. If you’re watching the video then that means you qualify! This marketing ploy is supposed to make you feel special, that you’re somehow a chosen one because not everyone will get this opportunity. They’re marketing Wealth Program through Clickbank and paying affiliates to promote it to everyone they can. Let’s face it, anyone who’s willing to pay the $37 is a perfect fit! The type of marketing that Wealth Project uses is the same tactic that I’ve seen with many of the MMO programs that I’ve reviewed. To me, there’s no substance, just hype. I’ll detail the upsells below, but they are the same–you’re asked to buy expensive upgrades without even knowing what you’re actually purchasing! Legitimate MMO programs do not market their platforms this way. They show you what they offer before you’re invited to make any buying decision, you know exactly what it is you’re being offered and what levels of membership there are, and you get to try out their system for free. I went ahead and bought the basic program for $37 so I could see what the program consisted of and what they offer. When I opened the members area of Wealth Project, I wasn’t surprised by what I saw. I have seen this program several times now under different names with a few tweaks. If you’ve read any of my previous reviews, this members area may look familiar to you! Each of these programs was marketed in the same way–as a new system coming on the market. But the materials in them are not only rehashed versions, they haven’t even changed the name on many of them. So much for Wealth Project’s claim that their system is “like nothing ever before made available”! There is no reason for a successful system to be continually repackaged and resold under a different name. In fact, it would hurt sales to keep changing up the brand that a product was sold under. Would McDonald’s change their name to something else whenever they opened a set of new restaurants? Of course not, because there is value in that brand name. Customers don’t just see another fast food restaurant, they see the McDonald’s name and know what they’re getting every time they see one of their restaurants. If the program sold as Wealth Project had been successful under any of the other names and actually made people money, it wouldn’t make sense to continually change up the brand so people wouldn’t know how to find it. So after reviewing the materials, they are guidelines and basically a general overview of selling on Amazon and promoting through social media to drive traffic to your site. Just as in the previous reviews, my opinion is that you’re not going to be able to start an online business and make any kind of substantial money with the materials you receive from Wealth Project. The fact is there is nothing there that you can take action on as the sales video leads you to believe. The information I got from Wealth Project is nothing that they should be charging for because you can get it online by doing a little research. I didn’t see any new information, and I didn’t see anything I haven’t seen before. The upsells for Wealth Project are the same as in the previous programs. In fact, the sales videos for each one were actually the same ones used for Wealth Academy. Wealth Project 2.0, which sells for $197–You are supposed to be able to make up to $6500 a day 3 times faster than the original program. Wealth Project Pro, which sells for $177–With this upgrade they claim you can make up to $10,000 a day! Wealth Project Social, which sells for $97–This upgrade shows you “how to utilize social media like never before” and could increase your earnings up to 1000x! Now keep in mind that these upsells were offered before you can get access to the basic system, so you don’t know what the Wealth Project system even does. Unfortunately, you still don’t know, yet you’re being asked to blindly pay up to $471 more just based on more marketing hype that you can earn hundreds of thousands of dollars! I can tell you that from my experience there is absolutely no way I will ever believe you will make the kind of money they’re claiming with the Wealth Project system, no matter what information is in these upsells! As with the other programs, I passed on these upgrades. Outrageous Income Claims–The claims made by Wealth Project are totally unrealistic, and you’re not going to make thousands of dollars your first week. People who are making a full time income selling on Amazon will tell you that it’s hard work and takes a lot of time, no matter what you’re selling! It can take years before you’re making significant earnings. Scammy Marketing Tactics–It’s obvious from the high pressure techniques and extremely high earnings numbers thrown out there that they are marketing to people who don’t know any better. Experienced marketers can look past these claims and see them for what they are, which is nothing but hype in my opinion. But inexperienced people trying to make life better for their families and dreaming of making money online are likely to believe they can make huge money online with Wealth Project. Another Repackaged System–Wealth Project is basically the latest version of a program that’s been sold under various names recently. You don’t rebrand successful programs over and over again. However, online programs that have received complaints and bad reviews will often change branding and sell under a different website. General Information–The general overviews and information found in this program can be found online for free. There is not any way a beginner could take action just from the materials I found and make money online. Upsells–The upsells offered make even more outrageous time and earnings claims–up to $10,000 a day starting your first week! No legitimate program would make these kinds of claims, much less expect you to blindly make purchases based upon this kind of hype. Experienced marketers know that making money online takes hard work and time. Programs like Wealth Project make it seem like all you have to do is sign up for a few things, click a few buttons, and then watch thousands of dollars roll into your bank account. From what I’ve seen, I believe the only way the money is going to roll is out of your bank account! Here at Build Your Early Retirement, we give Wealth Project our lowest rating of 1 out of 5. I strongly recommend that you stay away from this system and believe that you could lose a lot of money by trying to make it work for you. The concerns that I have with Wealth Project are the same as I had with the other programs. There just isn’t anything there that will make you the kind of money claimed, or quite possibly, any money at all! If you want to find a legitimate program where you can learn how to generate long-term, consistent, substantial income, you should check out my #1 rated platform. It’s free to join, and you can create 2 websites and experience their platform features with no credit card required. 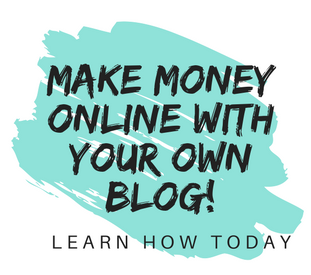 I host all 6 of my websites with them, received step-by-step online marketing training, and regularly get ideas and questions answered in their community forum. You can read my full review to get the details on all the great features they offer at Is Wealthy Affiliate Real Or A Scam? My Review. Have you had any experience with any of the programs we’ve talked about or have a legitimate program you’d like to share? If so, I’d love to hear about it in the comments below along with any questions you may have! It is amazing the scams out there – especially in the field of internet marketing or making money. And as you have shown so well, many of these “amazing new opportunities” are just rehashed and repackaged older systems. It is unfortunate so many will lose their had earned money on these scams. I really enjoy how to expertly lead people, who are ready to potentially fall for these scams, to a real legitimate opportunity. Legit opportunities take time and effort – otherwise everybody would be raking in thousands of dollars a day! Thankfully real opportunities like Wealthy Affiliate are out there; you may have to do some work over time, but your chances of success are certainly better than with these scams! You are so right! Making real money online that is consistent and long-term takes time and hard work. It’s too bad that scams and poor quality programs make people afraid to try again, and then they miss out on wonderful opportunities with legitimate programs like Wealthy Affiliate. When I saw the title I got all excited about the prospects of retiring with some money in my pocket. Then, reality hit… another one of these. Thanks for pointing out the repackaged deal with this “money making program”. It is so sad when people prey on the unsuspecting, promising them the moon when the only ones really getting rich are the founders and owners while the members are left with empty hands (or an empty wallet) and nothing of substance to show for their “investment”. Nice of you to give your readers an option to try a program out for free. At least with this one, you get something for nothing. Quite a difference from the normal. Once someone checks out Wealthy Affiliate they will definitely see that it is different from the normal make money online program out there. They can actually create 2 websites completely free of charge–no credit card required! The only other membership is their Premium membership for $49 per month which includes absolutely everything they offer. The only other cost is if you want to buy your own domain, which is $13.99 per year–no upsells or other hidden costs. If you’re looking for a legitimate program, Wealthy Affiliate is my #1 choice! These scams are ridiculous. But I do give them props for creating a shiny object and properly marketing it to the population. Of course thats not good for the people that fall into the scam and lose the money. I just hope more people take the time to do their research and learn about what theyre putting their money into before they actually put their money into it. For a lot of people, if they research a program and read reviews, they’ll be much more likely to find a legitimate platform and not lose money. They will also be better informed to evaluate future programs for any signs of a possible scam. Thank you for taking the time to stop by and read my review! Your site is amazing and your post is great! I read the entire post and it was interesting to discover how some people display no integrity and create programs that only take people’s money; it’s just not right. The red flags that you mention are critical and I hope your readers are paying extra attention to that because it can save them money and hopes. I’m a WA member and you are right with your conclusion. That platform is the best out there. It is such a shame that so many programs out there are low quality and won’t make money for the people who buy them. Hopefully they’ll do research and read reviews first so they can make a better informed purchase decision. Glad you’re having success at Wealthy Affiliate, and thank you for taking the time to comment! Hello Janelle. Great exposure. Thank you for sharing your Wealth Project review. I get annoyed whenever I see programs that make false claims. A whooping $17,500 a month is not possible with this Programme. I have experience many Programmes like this in time past and up till today. The truth is there are no new ways to make money online. It’s still the same way. It only takes alot of time and hardwork to get going. Exactly–hard work and time will equal success in earning money online. Unfortunately, there are many programs out there telling everyone that they can make thousands of dollars every day with almost no effort on their part. The people who are most vulnerable are their target audience–beginners and those desperate to find a way to work at home and make their family’s life better. Hopefully, they’ll read reviews and get a better perspective about programs like this. Then they’ll have enough information to make a better buying decision, Thank you for stopping by and taking the time to comment! Hello. Thank you for the great review of the Wealth Project system. Next scammers. I bought this program, earned nothing, spent a lot of time. Beware of this. It takes a lot of work and reading, then there will be a result. There is no system of rapid enrichment, that’s for sure. There’s definitely no fast, easy way to make long-term, consistent money online. It involves hard work and time, and you need to have the right program and training–especially if you’re a beginner. Thank you for stopping by, and good luck with your online business! I was nearly bought something like this and then I read a comment on the website from a member at Wealthy Affiliate saying why go for this when you can get the real deal. Luckily I did not go with it and I went for Wealthy Affiliate instead. A much better option. It doesn’t claim to be a rich quick scheme and is honest with how long it will take to make money. I find in general, that if it sounds too good to be true, it probably is! Wealthy Affiliate is definitely a much better option, and I’m very glad you decided not to buy the other program if it was a too-good-to-be-true program! One of the best things about WA is that they do not try to tell you that you’re going to make thousands of dollars without much effort, like so many of these programs do. They make it clear that it takes effort and time to make money online. Good luck with your online business, and thank you for taking the time to read my review! My grandpa told me once if it is too good to be truth you have to double check it and this is exactly that. We need to be very careful about scams and I think if it is too easy is not worth it, I think you can make money online but you have to work for it nothing in this life is for free, so you have to work it out. Thanks for this review it is really well research info and will help a lot of people. You’re welcome, and your grandpa definitely knew what he was talking about! My hope is that anyone looking to make money online will read reviews to really know what they’re getting into. Way too many people lose money trying to make programs like this one work, and it’s a shame because there are truly legitimate programs out there–with Wealthy Affiliate being my #1 choice. Thank you so much for this great review on Wealth Project .We are having a big problem these days when it comes to making money online.Many try to profit from people through their innocence and steal their money.For me,i will never fall for them because i know if their system could work as they said, they would have been rich and no way to ask money for the newcomers. It is very clear that easy money doesn’t exist,$17,500 a day? no way.Unless it is a big company or expert in this business but for beginners it is impossible. Wealth Project seems to be a scam for me,if not why lying like that? You are so right when you say that people profit from those who are innocent. They target inexperienced, naive people who will believe that you can make thousands of dollars online fast with no effort. It’s a shame, and I hope they research and read reviews before buying! Everyone should be aware that if it promises to make you rich quick it is too good to be true and it won’t happen. They are only selling you the dream of getting rich quickly not the reality.There are way too many upsells, that would end up costing a forture, when you thought you were getting something for $37. You’re exactly right, they are selling a get-rich-quick dream, and many will lose money before the reality hits them that it won’t work. There are many people making a lot of money online, but they’ve put the time and hard work in to achieve that income! Wow I actually did see the sales video for this one and I remember thinking just how absurd the claims were ! I truly hope you bought this product for review purposes only. If you did I can tell you actually took the time to delve into the nuts and bolts of how it works. I actually try to look at each program that I purchase as something that I could promote and make money with. However, it gets really discouraging to see so many that just make outrageous claims and provide little substance to actually back them up. Needless to say, this is one program that I will be asking for a refund! I appreciate this review. At first glance I thought it was pretty “scummy” looking as well. It is insane to me to take the same programs that are these “Get Rich Quick” scams and to give them a new look and place them directly back on the market, this is fraud to me and not worth any of our times. Thank you for the fantastic information! You’re welcome! I hope everyone who’s looking to make money online does their research. If they read reviews, they can make a better informed purchase! Thanks for the extensive review Janelle. These types of scams need to be called out for what they are. Blantant lies and rip offs. They are fraudulant and you provide a valuable service which hopefully stops people out naive (despite their naivety) from falling pray to such traps. I am sure if most people were faced with this type of sales pitch face to face in real life they would see straight through it but for some peculiar reason the internet makes everything different and people go for these types of stunts. You’re right about the internet. It’s hard for most people to realize that these programs can make any claims they want, no matter how false. It’s very difficult to find and stop them because they pop up and disappear before they get enough complaints to warrant action. If everyone takes the time to research and read reviews before buying any of these programs, they can save themselves a lot of time and money. I’m not surprised that this product has been repackaged under a different name on a few different occasions. The product must have a really bad reputation if you have to keep changing the name. Why does the system offer the upsells before you buy the basic package? Most companies I know of only do that after you but their basic package. Almost all of these types of systems offer the upsell before you get access to the basic program. They put out a lot more marketing hype and tell you that you will never see the offer again if you don’t buy it then. It’s another way to get more cash from naive, inexperienced people unfortunately. The wealth project punch line is definitely for newbies. I really do hope that they do their research and come across your review ir others. I was once almost fell into Dan Lok, the high ticket closer. Just like this program. Did not tell you a thing on what you will get but if you buy you will learn his secret to high ticket closing. He also made it high end that only a few people do belong to his program. Based a few theories from all the famous author like think and grow rich, rich dad etc. I almost fell for it but thank god I did my research phew! Thank you for warning us all about these programs. I’m so happy that you researched and didn’t get sucked into that program. Researching a program and finding out everything you can from experienced people is one of the best ways to avoid these kind of scams! Great to hear other competitors to WA don’t measure up. I’m considering some options and it helped to see whats out there and what isn’t working. I would have really liked seeing a comparison of the benefits as well though. There;s a particular feature I’m trying to decide if its offered elsewhere. I’m wondering WAs excellent ability to provide hosting for so many sites. Great way to save money. I just found it out and it kinda sold the deal. I don;t know if there’s other sites tht offer that but just a thought. Also really like the community, and ability to make some money back through commenting peoples sites, to help pay for your membership! Plus seeing those sites to make comments can help inspire yours and even provide great info, like yours. Great post! Wealth Project is definitely no comparison, I don’t consider it a legitimate program at all. Wealthy Affiliate has everything you need to start and run a successful, profitable online business that can earn you consistent, long-term income. Good luck to you! Thanks for making me know there is a platform where one can make money online. I really love the content of this post,it us self explanatory,everyone who come across this post will get it easy to understand like I do.I want to ask you that to sign up for this does it require a fee to be laid or is it free or is there a condition one must fulfill before signing up. For Wealthy Affiliate, the first thing you want to do is sign up for their free starter membership. From there you’ll be able to see everything the program has to offer. If you decide that it’s right for you, then you can sign up for the premium membership. The first month is just $19 and then $49 per month after that. Good luck and thank for taking the time to read my review! Hi; Wealth Project seems to be one of the big Scam cats on the Internet these days? Which hard working person would fall victim for this kind of hype? Seventeen thousand five hundred dollars per month could not come just by signing up with a company. Or any simple action. While it might not be impossible to earn that amount of money per month some amount of solid work is needed. Wealth Project is clever in what they are doing to lure subscribers to their scheme so it is quite possible for them to earn all that much money each month. While their subscribers will suffer lost. You’re exactly right! The creators of these types of programs lure inexperienced people in with promises of making huge amounts of money with hardly any effort. Most of the time these people will wind up losing money, sometimes a lot. By doing research and reading reviews, people can see these programs from a different perspective and, hopefully, make good choices about whether or not to buy them. I haven’t had experience specifically with Wealth Project, but I have seen many offers similar to this, and have even fallen for some of them. For a long time, I didn’t know better. I guess I thought it was normal for a seller to keep the details of the program a secret until someone paid for it. Then if the customer didn’t like it, they could ask for a refund (hopefully). What people really need is to at least see what a real, honest, proven program looks like, so they can more easily spot the scams. And what helps them to see what something looks like is when there is a free trial or free starter membership — like test-driving a car before deciding whether or not to buy it. Not only does that help in making the decision, but it also shows integrity on the part of whoever is making the offer. It’s common for people to assume that the claims made by these programs are true or they wouldn’t be able to make them. So it doesn’t ring any alarm bells for them when they don’t know much about the system they’re buying. You’re right about being able to spot scams easier once you’ve been exposed to a legitimate program. That’s what happened to me after finding Wealthy Affiliate and seeing the amazing value they offer, even with their free starter program. Good to know that you found a great program, and I wish you success!